Fractured hip. 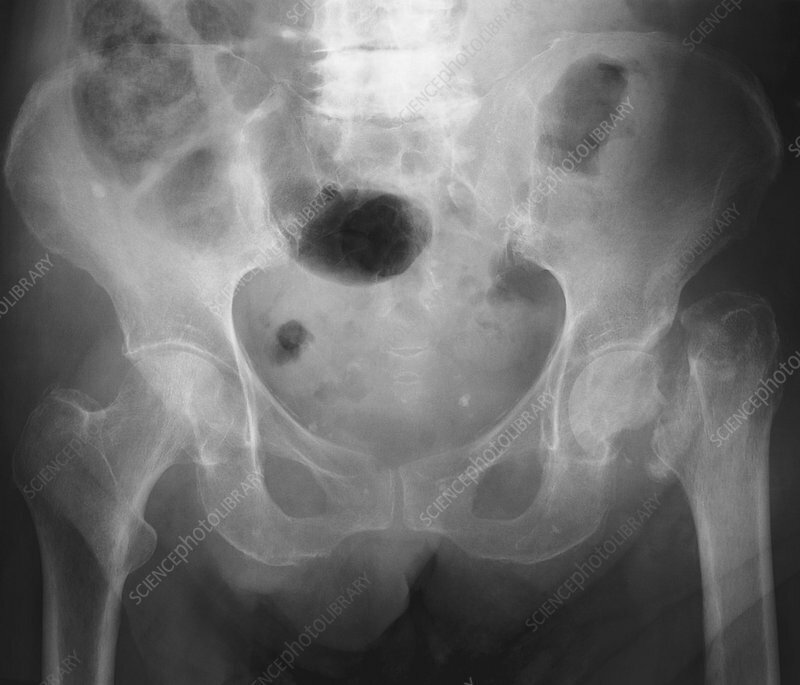 Frontal X-ray of the pelvis of an 89-year-old patient, showing a fracture of the left femoral head (centre right). The femur (thigh bone, lower right) has become displaced, and there is a loss of bone mass.